All of the below information comes directly from job reviews written by Harvey Nash employees based on 57 reviews. Be passionate about making money. Make sure you can adapt to a fast pace, challenging role. It is a role where you have to work hard and take responsibility from the start but a great team environment where people are keen to help. Very enjoyable but you have to know what you are getting into. Be confident when you go in, they're happy to look at people with any experience. Your time to show you are fit for the role will be in the interview. Show you're resilient and an approachable person. Tell us a time you had to be resilient? Be yourself in the interview, as a lot of hiring someone is based on personality. Learn what Harvey Nash do in detail and our unique selling points. Personality and transferable skills are more important than previous experience largely, as you will need to be trained in most things anyway. Be yourself, honest and open. Research recruitment itself as thoroughly as possible, it isn't for everyone but if you are interested in it, then Harvey Nash are a great company. Research recruitment, they will make sure you have the personality and drive to stick with recruitment so the more knowledgeable and prepared you sound - the better you will fair. Don't be afraid if you don't have any experience within Technology (or the specialism you are interviewing for) - they know you will learn this on the way. Communication is key, allow the discussion to gather momentum and always be honest while continuing the conversation. Highlight any commercial experience in your application, as well as extra curricular activities you've taken part in such as team sports. Relax, be yourself in the interview and make sure they can see your ambition and personality. Make sure you know every detail about what recruitment involves on a daily basis as it is not the right industry for everyone. Make sure you do background reading about the company and ensure that this comes across in the interview. Prepare properly by asking yourself all the difficult questions to answer. Apply answers with relevant examples from your educational/extra-curricular/working life experiences. Try to find the balance of being confident, coherent and knowledgeable. It is a thorough but enjoyable recruitment process. Research the organisation and a bit about recruitment. Ensure you understand that it is going to be hard work at the start but they offer good training and support throughout. You should be confident and able to talk to people. Ask about the specific office culture, expectations and training opportunities. The application can sometimes take a while, however off the back of that the company hire the right people and fully support new starters with all the resources they have. So stick with it even if it's slower compared to other companies. It's worth it in the long run. Be open and honest and do your research on the business. If you are coming through assessments then take the opportunity to make yourself stand out. Tell them exactly what you are looking for and they will be honest about whether they can provide you with that type of role in their team. Prepare on current affairs too, as they want to see you can hold a broad conversation. Focus on your love for writing, but don't stress the creative element as this role is not a 'creative writing' job. There were a lot of challenges posed for the interview that luckily I had prepared for before my interview. I had learnt the hard way that turning up to an interview unprepared was only going to end one way! I desperately wanted the job with Harvey Nash and revised so hard that I was more confident in the interview and got the job. Definitely the best advice I could give. I would advise future applicants to research recruitment as a career, not just a graduate job. Secondly, I think future applicants should shop around - visit different companies and see what their company culture is like. Look at websites to see honest reviews of working life, projects and salaries. Make sure to look at and practice answering competency based questions. Use interview answer techniques i.e. STAR. Come to each interview with prepared questions and research. Be prepared for a lot of work and learning on the job. Really read through the website and get a solid understanding of Harvey Nash. Go into the role with an open mind, a proactive mindset and the willingness to succeed. Be ambitious, focused and driven - being money motivated also helps. Go for Mortimer Spinks, they're very different from Harvey Nash, but in my opinion, are much better. Prepare! Read up on recruitment if you don't understand the role, show a real passion and drive in the interview and let the interviewers get to know you as a person - this is very important to them. It is a great place to start in recruitment and will provide a stable/ secure environment while you learn the ins and outs of the job. Do the research and make sure recruitment is right for you, otherwise no matter how good the company is you will hate it. Make sure you understand the hard work that will be required of you if you're successful in your application. Be yourself, if you are confident and loud, let that show throughout the interview process. Don't be reserved. You won't get a job. Be positive, confident and research each company fully, there are a lot of recruitment companies, and some are great places to work and others really aren't. Make sure you know the role, company and sector that we work in. Be able to draw upon your own experiences and link your answer to the question asked. Make sure you have a hard working nature and research what life is like in the recruitment world. Focus on relevant skill set. Show your personality. Culture is important to the company, so be as friendly as possible! The company likes highly intelligent people so be as articulate as possible. To relax, be yourself and be clear about what you are looking for. Do your research, understand the difference between Mortimer Spinks and Harvey Nash. Don't just say what you think people want to hear. Have questions prepared before you walk into the interview. Different to most other industries; show a passion for earning money and lots of it. Be yourself - personality is a big key factor, and team fit. You need confidence and knowledge of the brand and how you could make a difference to the company. Be yourself. We hire based on personality so be relaxed and let us see the real you! Think through why you want to work in recruitment. Research the Technology industry to see if it is something you are interested in. It is our core focus so you have to have an interest in it. They like to see all your accomplishments so don't be afraid to list them all. Be confident and be yourself. Personality is everything in this role. The key to this role is the ability to self manage, motivate yourself and have a strong work ethic. Be clear, concise and show a track record of the above. Be really positive in your interview. Be patient when first starting out as it can be quite difficult at times the way the oil & gas world works. - Fully research the ins and outs of becoming a recruitment consultant. - Prepare to put in a lot of time and dedication to your job. - Be resilient, dont give up. - Why do you want to work in recruitment? - What skills do you have to make a good recruitment consultant? - What do you know about the company you are applying for? - When have you worked to targets? This can be a very challenging and rewarding job, if you have a competitive streak then you can have a lot of fun and potentially make a good amount of money. Don't be afraid to argue your corner. One key attribute for a job like this is resilience. Previous sales experience will obviously help but it is not necessary, if you are quick witted and hard working then make sure this comes across in the interview. Make sure you do your research and know for a fact that you will enjoy the company you work for. Aim to have a career goal of at least 3/5 year plan when joining the company. Be precise in what you expect to achieve within the role/company and give an example of how you plan to achieve them. If asked, make sure you are able to give one or two small examples of a situation in your past that can demonstrate you are able to reach your objectives. Be creative in finding new ways to approach/overcome barriers. Demonstrate tenacity and a willingness to win and be the best. To realise it does take a while to earn good commission. Include your CV and a brief cover letter detailing your current situation. Come to the interview well prepared and with a clear focus on your goals and career aspirations. The interview process is tough and the Manager's take it seriously so you should too! The final presentation is your chance to demonstrate your knowledge and understanding of the role and the company and to let your personality shine, don't be afraid of adding that extra bit about you. The building in London is incredible and can sometimes seem daunting but it just provides the environment to work in, we are not all that glossy and corporate! 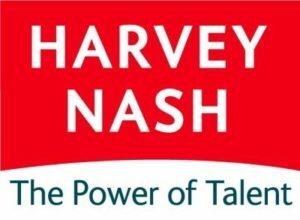 If you want a career, join Harvey Nash. If you just want a job to pay the bills, go elsewhere. Only 100% will do. Biggest flaws in yourself? What drives you? How do you deal with failure? Only apply for this role if you are motivated to do well, and consistently do well. There are many lows in this role because you are managing people and they can change their mind very quickly. Therefore, as long as you deal with that - you will be fine. Always research the company, not just the generic history of the company, but Harvey Nash produce a large amount of "Thought Leadership" which can be accessed by submitting details onto our website. Show you are committed to something and stuck with it. Have initiative to do things on your own not be hand held all the time. Well rounded, interested in IT would help. People person - have worked with people in Retail, Call centres etc. Be confident, not too relaxed - we're a relaxed office but we have to have confidence in putting you in front of clients. We look for people who want to develop with a business, what are your aims in this role. There are massive highs and lows so you need to be prepared to ride through the bad times knowing that a great week will be around the corner! Be confident, its ultimately a sales role so you need to be vibrant and enthusiastic. It's all about people so you need to be personable and likeable to get candidate and client buy in. Showing that you want to work in a target driven role. Be professional, confident and eager to work hard to achieve. Study the recruitment life cycle in depth and be ready for role play scenarios and competency based question. The pressure which is put on you. They opportunities here. They really support the staff in any direction they want to take and encourage entrepreneurship within the company. There are people here that are in senior positions but are quite young - they don't let anything stop you. The quality of offices differs quite drastically between locations. The London offices are absolutely stunning yet some of the regional offices are really basic in comparison. Nature of recruitment - can be stressful! The culture - the office is so relaxed an friendly, my colleagues have become true friends. Management are incredibly supportive and many people here have 10-15 years experience in the company so there are lots of people to learn from. It's easy to be visible and make an impact - we're not a hierarchical company so everyone has access to the most senior managers and MDs, who are always open to hearing ideas and feedback. Great international presence with highly professional employees who deliver excellent service to their clients and candidates. Brilliant Christmas party and the occasional social drinks after work on a Friday. Great facilities for preparing lunch, tea and coffee. Modern working office space with excellent meeting and board rooms. Lack of motivation and incentives. Slight lack of one to one on the job training which is not as effective as an interactive learning process. The business development meetings seem to have a very tense atmosphere and I get the sense that people do not look forward to them. I think a good idea would be to put incentives on business development activities to motivate employees more and make them excited about business development. Low pay and lack of pay rises for support staff, no development/career path structure, lacks infrastructure you would expect from a Plc of this size. very supportive, very engaging, good personalities! Good company culture, fantastic training, strong brand name, lovely employees. The people, the culture, the perks and the room to grow.